Our location based technology geolocates your businesses, and they are instantly searchable by consumers using both the web and mobile app. You can begin creating your own digital advertisements & loyalty rewards right away, managing your locations by group, region, brand, or any other classification. Adding new locations? No problem. Add a location anytime you wish. 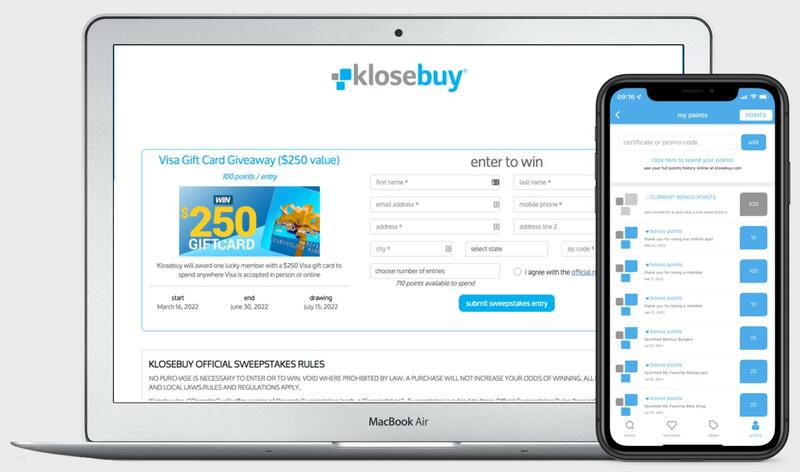 Make sure to tell your existing customers you are a klosebuy business and they can view your exclusive advertisements and rewards. 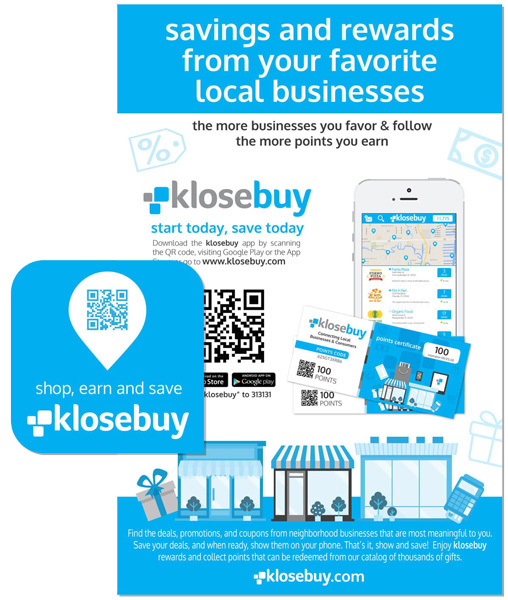 Klosebuy will reward your customers for joining and following your businesses. 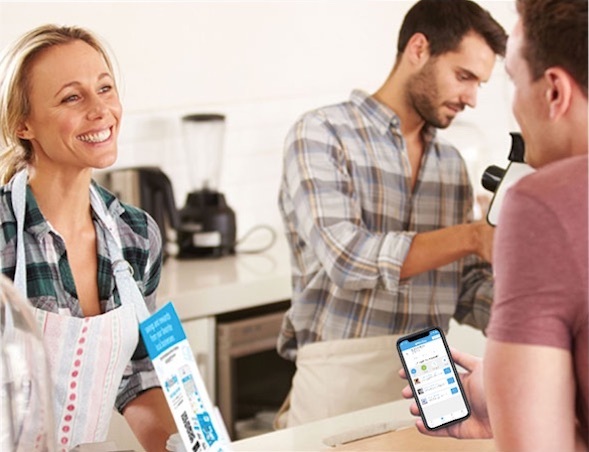 Create unlimited digital offers, discounts, coupons, advertisements or general event information, and deliver them instantly across one or all your locations. Within minutes, create by group or region multiple advertisements for today or schedule them to be activated anytime in the future. Our easy-to-use back office steps you through the process of creating and managing your advertisements for all locations. One person can easily manage thousands of locations and only spend a few minutes per week! 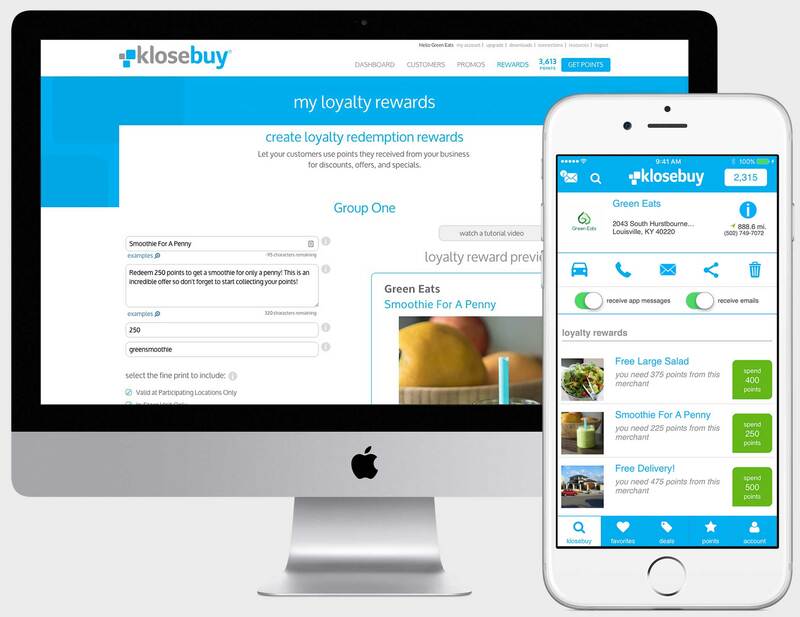 With our optional loyalty program, award your customers with points that are redeemable for rewards from both your businesses and from klosebuy’s online catalog of over 7,000 items. Try awarding 50 points for any store visit, giving 100 points for every $50 spent, or automatically recognize customer birthdays with a gift of points. You decide how points benefit your businesses and whether you wish to fulfill the loyalty rewards. With klosebuy's online catalog, we do the work so you don’t have to! Create custom loyalty rewards for any or all locations that will keep your customers returning time and time again. Let them spend the points they earn from any of your locations in exchange for products, services, discounts, and other unique offers from your businesses. Customers use the mobile app to select their reward, spend their points, and record their redemption. See who your customers are from any of your locations and what offers are inspiring them. 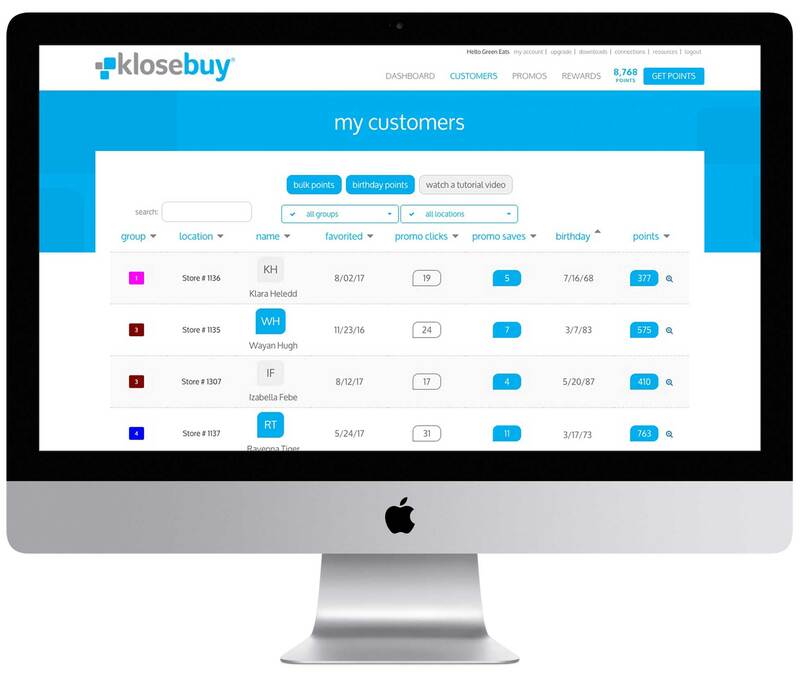 Klosebuy builds your database of customers by location in real time. Know instantly how your advertisements are performing by location, and change them as often as you wish. Let your customers launch you into social media! Track how many times your businesses and digital advertisements by location are shared by customers on social media. Link your business location websites and social media pages to klosebuy for more exposure. 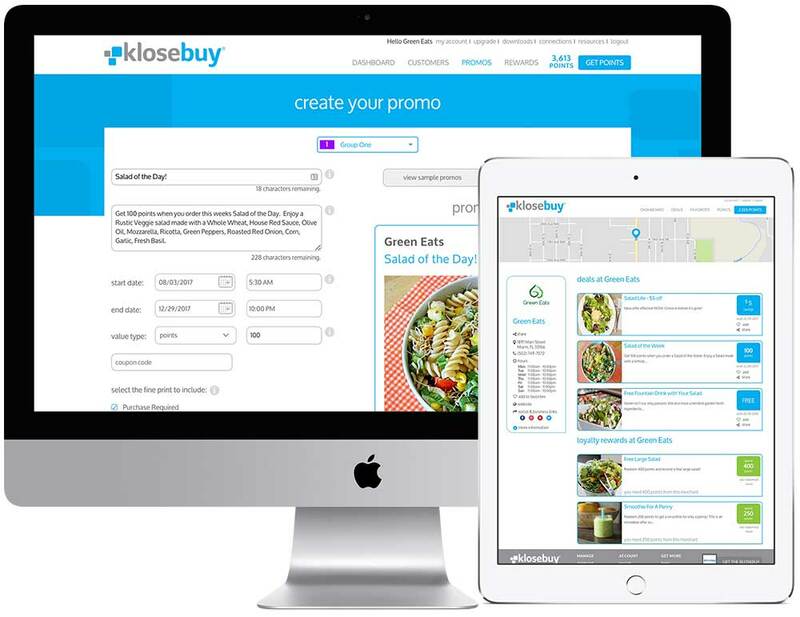 Klosebuy creates custom emails for each business location featuring your digital advertisements and delivers them to your customers. Our automated system does the work for you. Get discovered! With location based technology, we make it easy for consumers to find all your business locations on the map. Select up to 5 category keywords that best describe each of your businesses. Marketing materials are available to ensure a successful start to your program, and communicate that you are a klosebuy business. Hand out your points certificates, and when your customers enter the code, they are automatically added to your database by location. 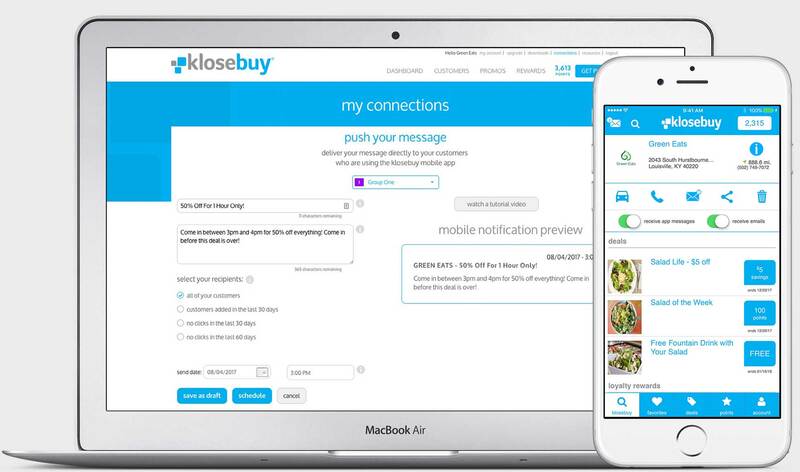 are you ready to get started with klosebuy? 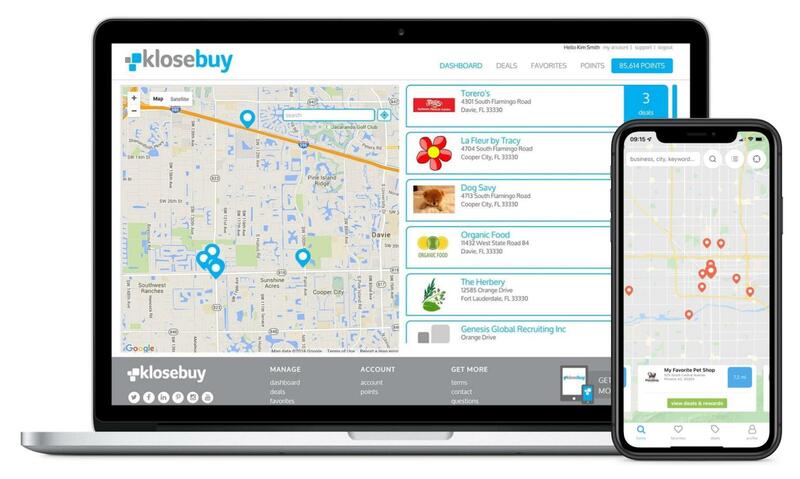 get started with multiple locations on klosebuy today! thank you for contacting klosebuy, we will be in touch soon!